If you’re looking for a new gaming convention to check out in the New England area, there’s a one-day gaming festival taking place in Boston, Massachusetts next month. On September 14th, the MIT campus will be hosting the Boston Festival of Indie Games 2013. The event is in its second year and will run from 10 am until 10 pm. The event features show floors for tabletop and digital games, a game jam that will go on for most of the day, an art exhibit, and screenings of feature films about gaming. 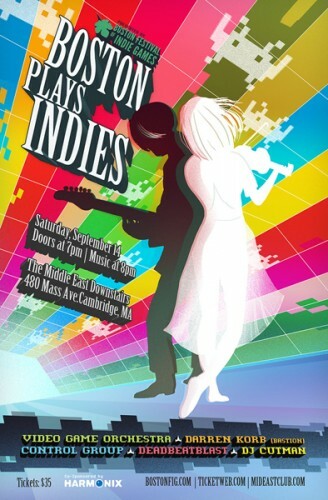 There’s also an off campus concert in the evening running from 7pm – 11:30 pm titled Boston Plays Indies. The concert will feature music performances by Deadbeatblast, Darren Korb, Control Group, DJ Cutman, and Boston’s own Video Game Orchestra. The festival is free to attend, so if you are in the area on September 14th it will definitely be worth checking out. Tickets to the music concert Boston Plays Indies will require you to buy separate tickets and the concert venue requires you to be 18 or older. The primary focus of the festival is to promote the digital and tabletop games of independent game developers. Over 30 different developers will be at the show to feature their games, which you can play and help test out. The event also features guest speakers include Robin Hunicke, the executive producer of Journey, Chris Remo, a composer and writer currently working at Double Fine, and Brian O’Halloran, an actor/writer probably best known for his role as Dante Hicks in the movie Clerks. It’s great to see more events taking place on the east coast, especially in the New England area. I’ll be heading to the festival myself and checking out everything on display, including the Boston Plays Indies concert in the evening. This will be my first time attending this particular convention. I’m not sure what to expect, but it looks like it will be a lot of fun. I’m especially looking forward to seeing groups like the Video Game Orchestra and Control Group perform. The last time that I checked, they are still looking for some volunteers to help them set up and run the festival. They’ll provide you with a t-shirt, food, drinks, and lunch for helping out. Be sure to check out their volunteer page if that sort of thing interests you. Again the main festival is free of charge, so give it a look if you plan on being in the area on September 14th. Hope to see you there.